The team behind iconic London restaurant St John has unveiled more details of its forthcoming hotel in the West End. 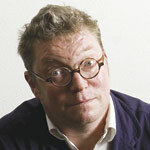 Chef Fergus Henderson (pictured) and proprietor Trevor Gulliver have taken over the former Manzi’s restaurant and hotel located off Leicester Square. The duo is completely refurbishing the site and will relaunch it as the St John Hotel in late September. The property will include a ground-floor St John restaurant and first-floor bar as well as 15 bedrooms, including a two-bedroom top-floor suite. Henderson will oversee the kitchen together with head chef Tom Harris, who will leave the Michelin-starred St John in Smithfield. The restaurant will serve food until 2am. Matthew Rivett has been appointed as the general manager of the St John Hotel and joins the property from the Ritz, where he spent 10 years working his way up to the position of food and beverage operations manager. The St John Hotel, which will have room rates starting at £200, will be located near the new 194-bedroom W Hotel London, which is set to open on the former Swiss Centre building in Leicester Square in the autumn. St John first opened in 1994 and has developed into one of London’s most recognised establishments, with Henderson’s nose-to-tail British fare proving a major hit with foodies. A sister restaurant, the more casual St John Bread and Wine, followed in nearby Spitalfields in 2003 quickly emulating the original’s success.